I could feel it. On the 26 of June 2016, I had the worst feeling a mother could have. The feeling that these were the last hours with my son. His skin colour was now yellow, his eyes where grey, his face was sunken and you could see every bone in his body. His belly was swollen, lumps and bumps took over his stomach. I was watching my son die. As that day went by, his breathing slowed, his heart rate was high and his body felt like it was on fire. He could no longer speak, except for the word “ouch”, which he repeated over and over again, which meant his pain meds had to be raised, which in turn meant he was barely awake. When he could open his eyes, they no longer looked like my happy boy, but instead gave me a look of “Momma help me” & of course it shattered my heart because I could no longer save him. He continually told us, “I’m never getting better” How could he know at 4 years old that his time was coming to an end. I held him close that night, I didn’t let him go, I wished I could have hugged him tighter but his fragile body wouldn’t allow it. I left my hand on his chest over his heart, making sure to feel every breath and every beat. I remember the feeling of his skin, it was no longer soft and smooth. I remember the feeling of his hair on his head and his long eyelashes. I spent time remembering how his hand felt in mine, and how perfect he was. It’s a night that should have never happened, a night that is truly the worst nightmare any parent can have. Its a night that can never be erased. As the 26th turned to the 27th, my heart was shattering even more, he was fading. I knew what was coming. I sang him all is favourite songs, my husband read him his favourite books and we talked about all the things that he would be able to do. We promised him to continue his fight & to always say his name. We spoke about all the amazing things we did as a family and how brave and strong he truly is. We cried and we cried. It was now 3:50am. He decided to take off his oxygen mask and threw it, he was done with it. His breathing now spaced farther and farther with each breath, and slowly his body was shutting down. As my husband and I looked at each other, we knew this was it, our final moments with Mason. I held him close as my husband held his hand, and we whispered in his ear how proud we were of him, and told him it was okay to let go if he is hurting. 4:00am, I felt it, something no parent should ever have to feel. I felt my beautiful 4 year old boy take his last breath, and I felt his final heartbeat. My heart had left my body, and my eyes didn’t want to believe what had happened. He was gone, his body no longer moved. I held his little body so tight now, I felt his skin instantly turn hot to cold, his eyes no longer blinked & his lips no longer kissed me. I was being selfish, crying and not allowing anyone else to hold him or touch him, I wanted him all to myself, because I didn’t want it to be the last time i was able to hold him. For over 3 hours I held his little body, trying to remember every inch of him until it was time to walk him to the van that would take him away. 1 year, 365days & 525600 minutes have gone by since the worst day of my life, the day I lost my son. It will never feel real, get easy, or hurt less. This day reoccurs every time I close my eyes, every time I walk passed his room, and every time we visit his spot where he will forever sleep. June 27 2016, is the day I lost my heart, my 4 year old boy, my best friend and the person I love like no other. It is the day my world would no longer be the same. Mason Iain Bacon-Macri, Not a day goes by that i don’t think of you, say your name or tell you that I love you. You are an incredible little man that changed the world, and continues to do so. You are the bravest, strongest and most lovable boy. In four short years you figured out life, how to live it, how to love it and how to change it. I am so proud of the little boy you became. I don’t even have the words to tell you how much I miss you, because there are no words strong or powerful enough to let you know. I always told you not to grow up, but i didn’t think that would actually come true.. I love you, I love you forever. My heart hurts for you both. RIP Mason!! Thanks for sharing your journey with us. Mason will live on through Miller. Your story is heart wrenching. Yours words are so powerful, i felt every word you wrote. No child or parent should have to go through this. No parent should ever have to experience what you did. But cancer strikes without discrimination. Your words touch my heart. You have allowed us just a glimpse of what you endure daily. And it makes us hold our children a little tighter. RIP Mason. Sending you hugs and support. Prayers that God will wrap his arms around you and continue to comfort all of you. This made me cry, your a beautiful writer. My heart hurts for your family. My heart is breaking for you. I couldn’t even begin to understand your loss. Mason touched the hearts of so many people in the community and continues to every day. God bless you two – i am not even going to say i know what you are going through because i don’t. You two are very lucky that you have the most beautiful and caring angel surrounding you now, and now your little new man Miller. Please know that a big part of Mason is now in Miller. Thank you for sharing Mason’s story. As a mom to a three year old boy i cant help but, cry everytime i read your blog. The world fell in love with your sweet baby boy and we all mourn the loss of Mason. Because of you i hug my son a little tighter and kiss him often in appreciation of how sacred being a mom really is. Thinking of you and your family as you remember your sweet Mason. I can imagine Mason up in Heaven hoping your new addition will soothe some of the pain. I know he will be watching for the smiles to return to his wonderful Mom & Dad. Mason was a gift… He will always be remembered , loved and inside us all. Thank you for sharing. My heart hurts for you and your family. I see where Mason got his strength, courage and bravery… From his parents! Please Know that you don’t cry alone. As a mother I cry with you. I can’t even imagine that amount of pain. You’ve honoured his legacy. Amazing parents. This was so hard to Read . April 27th 2016. My Grandson was Diagnosed with Leukemia. He had just turned 5.. We are still fighting everyday . Your son was so handsome . Your words an pictures say it all. Sending Prayers an Huggz. He will live on threw so many he touched . I hope your family feels no more sadness yet instead pride for the boy you raised to fight as long as he could and hope for the son you will watch grow with the strength and belief of a new beginning. You both are parents like none I have ever witnessed. 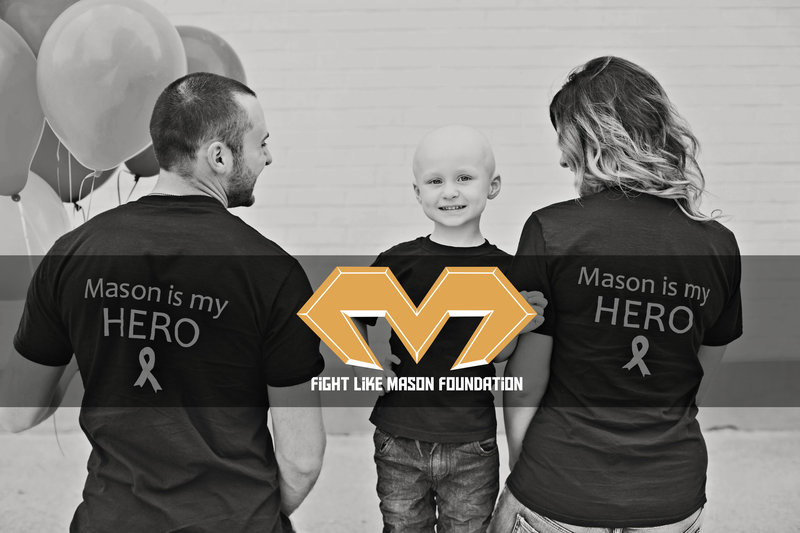 Mason’s bravery is from you! I have read your blog entries, about Mason’s journey and your journey along the way. You are such an eloquent writer, describing in great detail the raw emotion you have experienced. As a mother myself, I can never imagine the pain you have gone through and the loss you live with every day. Please keep writing and sharing your story and Mason’s story. It helps us to understand, appreciate and value people going through similar situations and it helps Mason live on. Thank you sooo much! Thank you for sharing with us. I can only imagine how incredibly difficult this was for you and your family. You had to be strong when you didn’t want to be. Mason was very lucky to have parents like you. He is at Saint-Simon St Jude’s in Belle River, 2nd row 2nd plot from the left. My son left my arms November 6, 2015, 12 days before his 48th birthday. I watched him slowly leave this place and I was unable to stop his departure. Four years old or forty-seven years old our grief and loss are the same. My our children rest in peace.